Escape to an oriental paradise surrounded by beautiful blossom trees, beaming lanterns and peaceful gardens with Peking Luck. Peking Luck is a 5 reel, 25 payline slot created by Pragmatic Play with an oriental theme. It's filled with vibrant colours, culture and a whole lot of good fortune. Peking Luck has lots of exciting luck-filled features including wilds, scatters and a Chinese dragon bonus feature. For more info about Easy Slots as a site, click here. 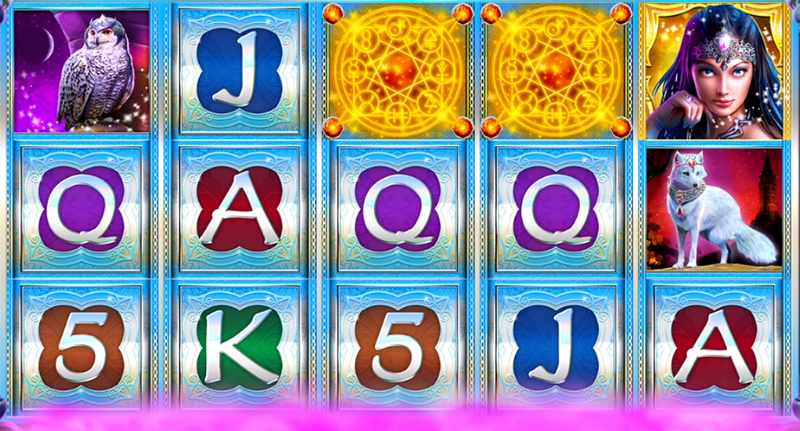 Peking Luck is a 5 reel, 25 payline slot with an oriental theme. Behind the reels, you'll see a beautiful Chinese landscape filled with swirly blue seas, cloudy skies, red lanterns and pretty pink blossom trees. The reels are edged in gold giving it a more regal and lucky feel. Maybe it's a sign of all the amazing golden prizes that can be won? The symbols all fit to the oriental theme and include cymbals, a carnival mask, a pink fan and a ferocious Chinese dragon. The Wild Symbol - The beautiful lady with the pink fan is the wild in Peking Luck. Land 3, 4 or 5 wilds to win a multiplier prize of 20x, 160x or 400x retrospectively. Payouts are also doubled when wilds create a winning combination with a standard symbol. The scatter symbol - The scatter in this slot is the golden gong. Landing 3 golden gongs will award you with 3x your total stake, landing 4 will grant you 10x your total stake, and landing 5 golden gongs will give you 250x your total stake. Once a winning combination has been formed, the free spins feature will unlock. Here you'll be shown 6 different coloured fans. Pick any one of the fans displayed to reveal your prize. Bonus Feature - Once you have triggered the bonus feature, you'll be taken to a screen filled with 6 Chinese dragons. Next, you must choose a dragon to reveal your reward. The highest reward here is an 18x multiplier. This feature can be retriggered by landing 3 or more scatters and you'll also be given an extra 10 free spins. Click here for more bonus promos! If you love slots with an oriental theme then you will enjoy Peking Luck. It's a great straightforward slot with a stunning design bursting with culture and colour. The free spins feature and bonus features are perhaps the most exciting in this slot, however, the scatters are the ones to look out for as you can win up to 400x your total stake! Why not try some more games like Silver Enchantress?